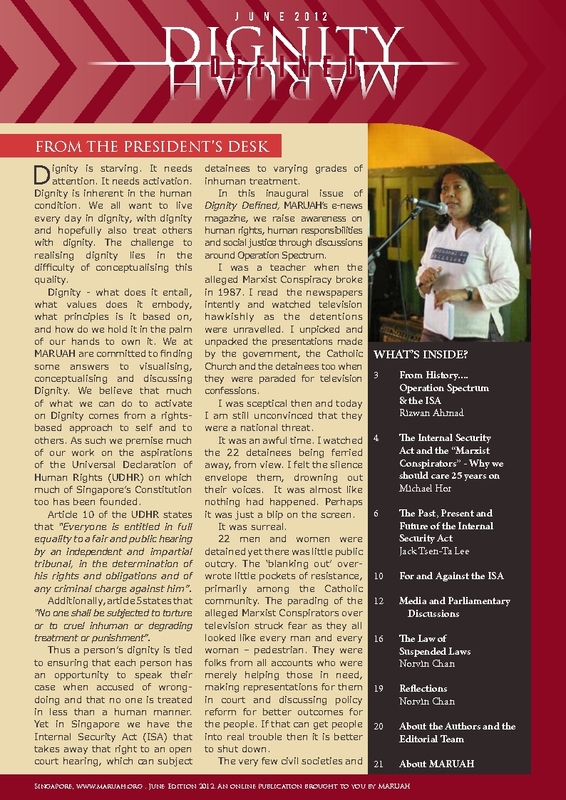 We are delighted to present the first issue of Dignity Defined, MARUAH’s newsletter. In this issue, we put the spotlight on the Internal Security Act (ISA), and the ISA arrests in 1987/88. Please download the full newsletter here (PDF). This entry was posted on Monday, June 4th, 2012 at 4:05 pm and is filed under Dignity Defined, ISA. You can follow any responses to this entry through the RSS 2.0 feed. You can leave a response, or trackback from your own site.